The fun to be had at Fiesta Cantina is no secret. 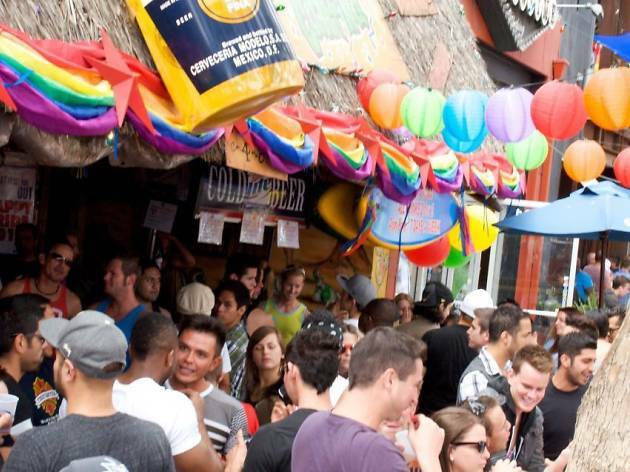 In fact, this festive bar is often packed to the gills with patrons taking advantage of one of WeHo’s best happy hour deals: 2 for 1 drinks from 4pm to 8pm and from 10:30pm to 12:30am. 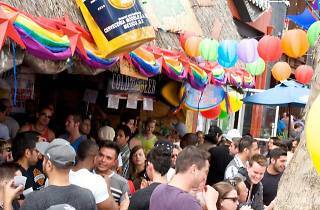 Fiesta Cantina offers a main floor and a rooftop deck for mingling, intermittent dancing, solid Mexican food options, and walking bartenders that offer shot specials. Just a stone’s throw from the Abbey and never dull, Fiesta Cantina is a popular spot for a reason—strong drinks for cheap, a lively crowd, and an upbeat vibe from noon ‘til close.